I was dumped right after New Year’s Eve. I had been dating Chip for a few months, and after a while I began to have stronger feelings for him than I thought possible. He’s an entertainer, and spends a lot of time on the road. On New Year’s Eve, he was on tour. I expected to hear from him at midnight, but instead, he sent me a text two hours before. I began texting him repeatedly: "You better CALL me at the stroke of midnight! "…"I want to hear your voice AT MIDNIGHT!" and so on. He didn't call, he didn't text again, and I didn't hear from him until late the next day. At that point I gave him a really hard time. I told him if I was important enough to him, he would’ve found a way to call me at midnight. He was annoyed and disappeared for a while. When he finally contacted me (via email) he broke it off. I'm devastated. Where did I go wrong? Bottom Line you can’t make someone love you. It’s just human nature that the more you pressure someone, and the more demands you put upon them, when they are not where you need them to be, the greater turn off it is. And you will always get the opposite reaction than what you were hoping for. You freaked him out, with too much too soon. 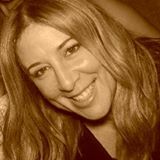 You are the perfect candidate for my Girlfriend 911 program, where I describe in great detail how to get a commitment phobic guy who really does loves you, to commit. It would be much better for you to take a step back from Chip, let him experience his life without you in it, and let him see how that feels. Remember “guy time” is a lot different than our timing so it might take him a while, but I have a strong feeling he’ll be back as long as you give him the necessary time and space he clearly needs. DO YOU NEED RELATIONSHIP HELP? 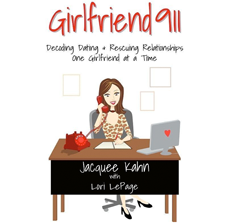 Girlfriend 911 offers personal coaching on how to deal with all your dating and relationship problems. Take the first step towards the love life you've always wanted by calling or emailing Girlfriend 911 to schedule your first session.